As soon as August hits, I start getting really excited about fall. I still want to enjoy every last bit of summer, but I do start thinking about decorating, since I always put my fall decor up on the first of September. I switch out my pillows and wreaths each season, which is an easy way to change the look of any space, and in this case, add fall charm. 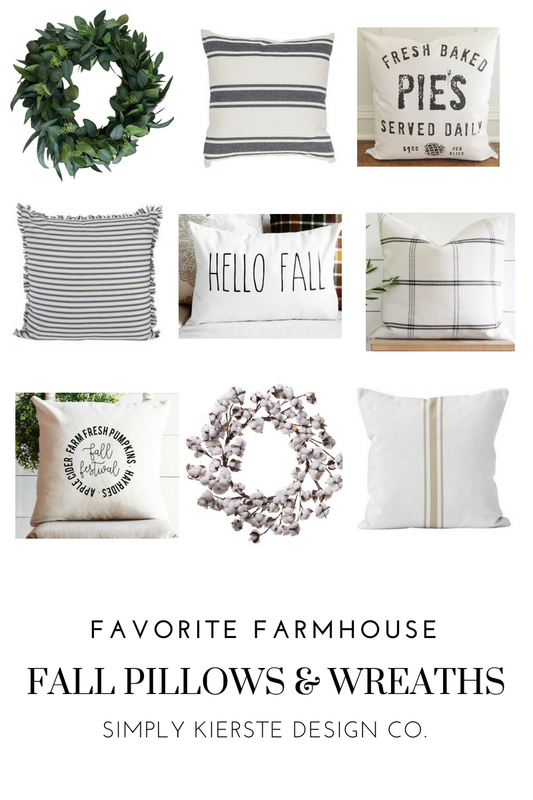 Here’s a collection of some of my favorite Farmhouse Fall Pillows & Wreaths–now, how do I choose? I tend to go more neutral in color with my pillows–I love grays, whites, creams–in different textures like ticking, grain stripe, and buffalo check. I can’t resist pillows with text on them for any season, but a pillow that talks about hayrides, pumpkins, and apples is automatically on my list! I use green wreaths all year long, and fall is no exception. I’ll mix up the type of greenery–I love magnolia leaves and eucalyptus. Cotton wreaths are another favorite for the fall! Once I have the green wreaths and neutral pillows, I add in color with pumpkins, gourds, and branches. I love love fall! 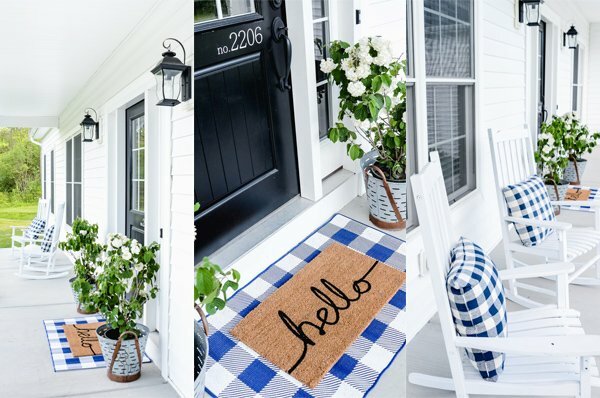 Farmhouse Style Fall Decor on Amazon! I need them all!!! Thanks for sharing. We are closing on a new house next week, and I’m so excited to decorate for fall. Congrats on your new house!! Fall will be so fun to decorate for!